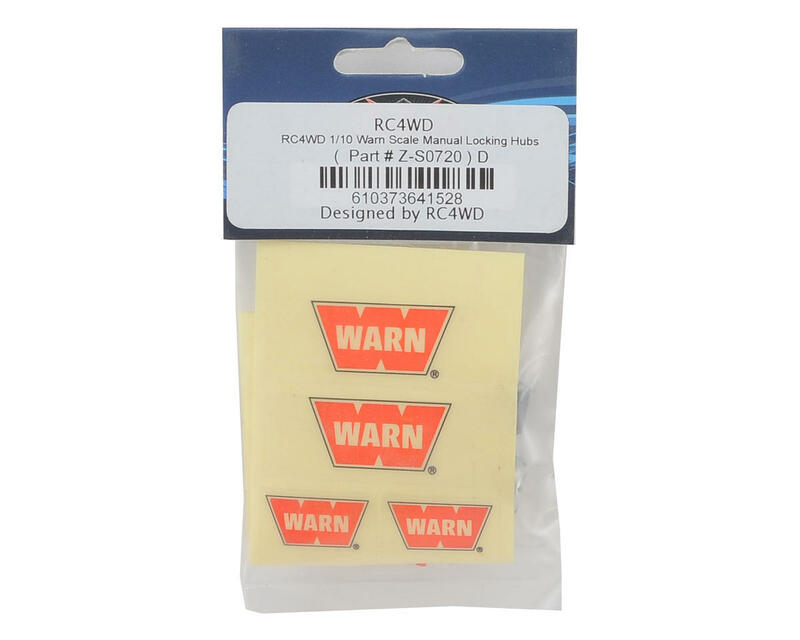 RC4WD 1/10 Warn Scale Manual Locking Hubs are CNC machined to perfection. These highly hubs feature an incredibly high level of detail in every way possible and look just like the real thing. Designed for 1.9 size wheels. Can be used on other wheels as well. Also serves as wheel nuts. Not sure what the previous reviewer is complaining about? I have run these hubs for well over a year and havent damaged them at all, except for when I tried to take them off without having the little tool fully seated in the hub. They look awesome and other than damage inflicted by me, they look as good as the day I bought them. I purchased these from A Main about a month ago. They look awesome in detail but be warned that they do not have a locking nylon nut infused into the hub, its just threaded to mate with axle and this just is not designed properly to secure the hub to axle, it will come loose with use! You would have to use lock tight to secure it. The problem I've experienced with this is that the special hex adapter needed to install and remove this hub is designed with very tiny aluminum pins which mate with the hub. 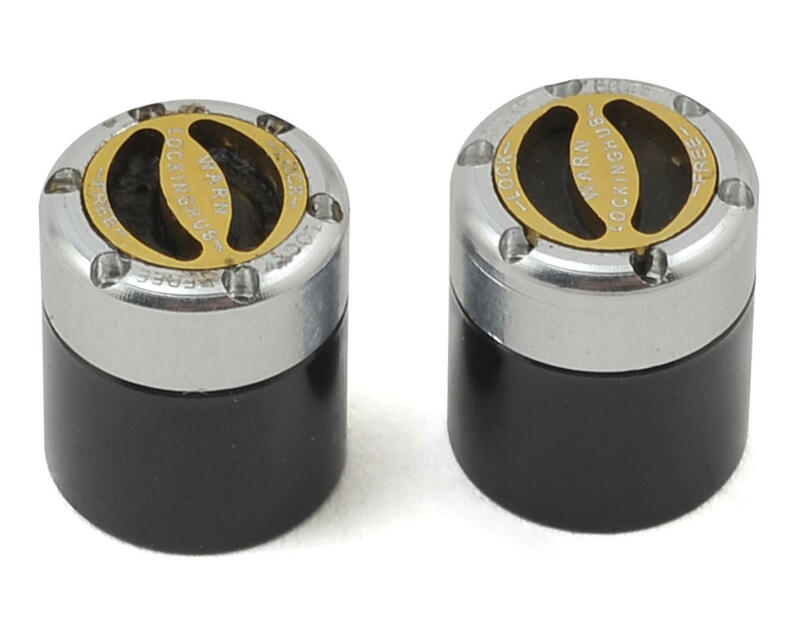 It very easy to strip or damage the aluminum tool pins and small holes molded into the hubs with using the blue removable lock tight compound, my experience. In short these look very cool but I do not feel they are very practical for use vs. sitting on a shelf on my SCX10 II. I much prefer the SSD hubs I purchased afterwards or even better would be LockedUp RC Ulta Hubs that I would like to try next!